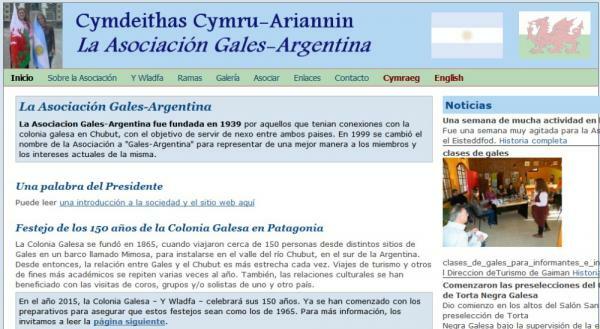 Website to promote the education and cultural activities of the Wales-Argentina Society in Patagonia, Argentina. 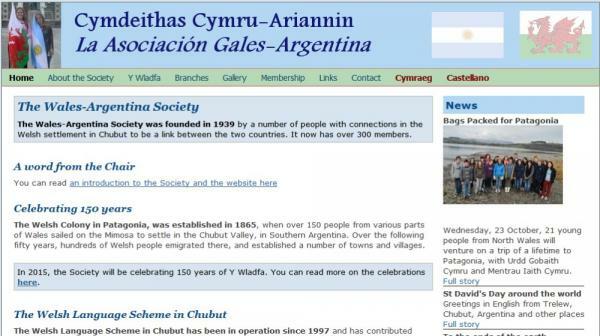 The Welsh Colony in Patagonia, was established in 1865, when over 150 people from various parts of Wales sailed on the Mimosa to settle in the Chubut Valley, in Southern Argentina. 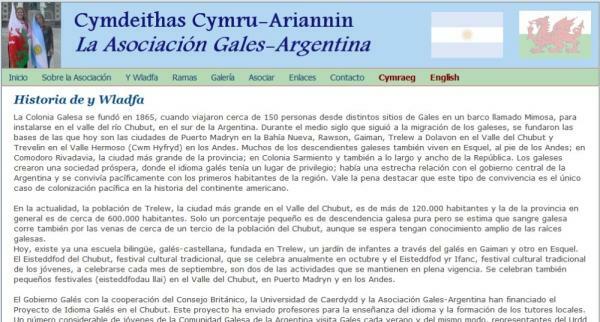 Over the following fifty years, hundreds of Welsh people emigrated there, and established a number of towns and villages. Technical features: PHP and MySQL. The site uses the Technoleg Taliesin content management tools to allow the client update the site themselves. 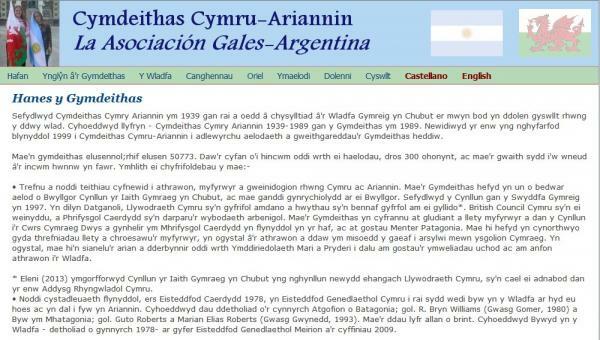 This is a tri-lingual site in Welsh/Spanish/English. Development partners: Website design and build by Technoleg Taliesin Cyf.